A blog about the best adventure, crime and spy novels to read. 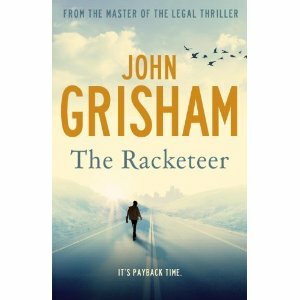 The Racketeer by John Grisham tell the story of the life of Federal Judge Raymond Fogletree and his sudden and mysterious death. It’s surprising that these Judges don’t run into more difficulties when considering the enormity of the cases they deal with and the, sometimes, severe sentences they have to hand down to very dangerous individuals and organisations. John Grisham states that in the USA only four active Federal Judges had previously been murdered, someone had just increased it to five. The Judge’s body, along with that of his young secretary had been found in his lakeside cabin in the basement. The FBI had found the bodies after being alerted to the Judges disappearance by his law clerk. The clerk had become worried when the Judge didn’t turn up for Court on the previous Monday morning. The FBI checked the crime scene and found no forced entry and no indication of a struggle. Only the bodies showed evidence of a crime and the FBI felt it was someone close who had committed it. The storyteller did not know the Judge but he did know why he was killed and who had done killed him. The only problem, a fellow lawyer, he now languished in prison. The Racketeer is a piece of murder, mystery fiction which has a dark Noir feel to it. As always a tense and clever plot which has strong currents flowing through it. Well worth a read. Well done Grisham!